Product prices and availability are accurate as of 2019-04-19 05:37:18 UTC and are subject to change. Any price and availability information displayed on http://www.amazon.com/ at the time of purchase will apply to the purchase of this product. Author Bookstand is proud to offer Forgiven by Bookstand Publishing. Bookstand Publishing offers books by the best indie authors throughout North America and the world. Bookstand Publishing is dedicated to offering original content to a broad audience and promoting great authors, literacy, and freedom of expression. 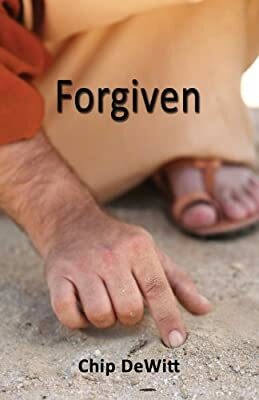 Forgiven has generated a lot of interest and excitement and we think it would be an excellent addition to your library. Chad Gamble's life has been turned upside down. His wife who betrayed him has now been kidnapped. The trail leads his team and the FBI to the luxurious ski resort town of Steamboat Springs, Colorado. Once there, however, they learn that much more than a kidnapping is at stake. A set of breakthrough scientific discoveries - one involving a transportation fuel enhancement formula and the other involving a new technology that enables nuclear bombs to be made easily and inexpensively - is on its way into the hands of terrorists. But even before they can find Stevie and stop the sale of the game changing formulas, they must contend with a nuclear device 1400 times more powerful than that dropped on Hiroshima and Nagasaki which is about to be detonated at our country's most strategic military site. Both the FBI and Team Chad are tested to their limits in this race against time. 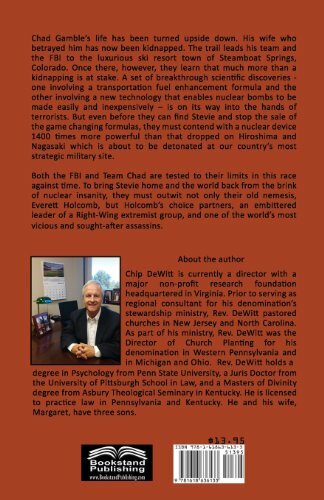 To bring Stevie home and the world back from the brink of nuclear insanity, they must outwit not only their old nemesis, Everett Holcomb, but Holcomb's choice partners, an embittered leader of a Right-Wing extremist group, and one of the world's most vicious and sought-after assassins.